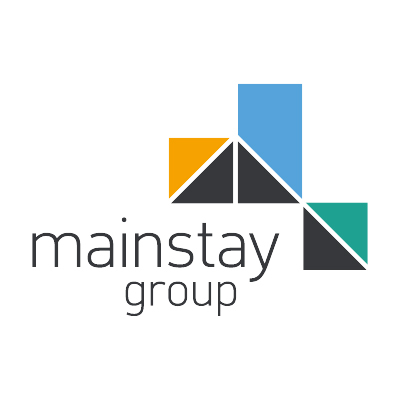 Mainstay Insight - "Doing things right" and "Doing the Right Thing"
What’s the difference you may ask? “Doing things right” is important for the high quality and reliable delivery of your services. Having well documented, formal processes is a common way of making sure your employees provide that reliable delivery and know what to do in each situation. There are of course benefits to the customer too – it means that a question asked of your company on a Tuesday or a Friday will be met with the same answers delivered in a consistently professional way. When a problem occurs with your service, it is usually because there is a flaw in the process, no process at all or the correct process was not followed. All sounds familiar doesn’t it?! On the other hand, “doing the right thing” is about instilling a culture of “yes you can” rather than “computer says no”. It is empowering your employees to make an emotional or personalised connection with your customer; it’s acknowledging that sometimes this might involve breaking process or giving something extra, and that that’s ok.
Of course, before you can empower your people they need know within what parameters they can operate and how to deliver those brilliant basics – so your training on processes is still important. But what is often missed is attentive training on soft skills, core values and the company’s vision for delivering an excellent customer experience. Once your teams understand your values, vision and those parameters, they should then be given freedom to do the right thing, without fear, and without asking their manager each time they’d like to make a customer-focused decision. It’s simple – trust that they will do what it takes to deliver a great experience for your customers. Sounds easy, so why are some organisations still delivering bad service? Well, doing the right thing doesn’t just apply to your customers, as Richard Branson said “if you look after your staff, they’ll look after your customers. It’s that simple.” Most companies know how they want their customers to feel after an interaction but fail to recognise that it’s their employees that deliver those feelings. When your employees feel cared for, they care for your customers, when they feel that doing the right thing is important, they will stop to think about how to make a difference. So, make your place a great place to work. Recognise others when they do well, let people know when they are doing a good job and celebrate successes – a happy employee who is respected and appreciated will respond by going the extra mile for others, be that another colleague or customer. By creating this type of positive culture and awareness of others’ emotional needs you allow your people to create interactions that grow into relationships and to connect in a way that builds trust and brand loyalty. For me, there are lots of examples of empowering our people to do the right thing at Mainstay, but there are two favorite recent "Mainstay Moments" that reinforce our core values for caring, ownership and unity. Members of our team recently responded to a customer whose boiler had flooded their apartment, they immediately jumped into action, giving their time to help the customer clean the entire apartment, and avoiding further damage to the customer’s belongings. Another team responded to customers concerns about an area of canal next to their homes. The area was not our responsibility to maintain (computer says no), and although this could be followed up with those that were responsible (usual process), our teams decided to find out if this area of land could be cleared by them themselves and enhanced to create a better local environment. Their desire to do the right thing has been rewarded by agreement to allow the local community to adopt the area; whilst they helped tidy the area, that small gesture has resulted in bringing the local community together to regularly maintain the area and provide an opportunity for residents to get to know each other.